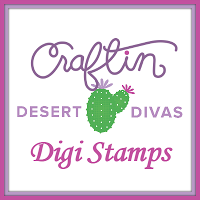 Craftin Desert Divas Blog: Linky Party Winners & Announcement!! Hello CDD Fans! We want to get more fans involved with our CDD Monthly challenges and reward our fans for using CDD products on their projects, so we are transitioning our Linky Parties and our monthly FB digi challenge into our new Social Media Monthly Challenges. For our Monthly Challenge we will have a theme a month with an inspiration mood board that will be posted in our Facebook Gallery group. To be eligible to win you must create a new project using CDD products: Stamps, digi stamps, dies etc., that go along with the monthly theme and CDD must be the main focus of the project. We will add a folder into our photo album section in the Craftin Desert Divas Gallery titles with the month and theme for you to add your finished projects. After you add your project to the album you must share your project on social media and tag Craftin Desert Divas in your post with the hashtag #CDDMONTHLY as this will be part of the requirement to win. There will be 3 prizes awarded each month. 1st place will be a $15.00 CDD shop credit. 2nd place will be 2 free digi stamps of choice, and 3rd will be 1 free digi stamp of choice. We will also require a minimum number of 8 entries or more in each challenge for a prize to be awarded. For fans to qualify for a prize they must make a new project using CDD products that match the theme and post their project photo in the CDD Gallery album for that challenge. 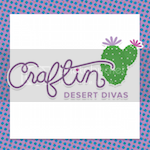 Then they must share their project on social media and tag Craftin Desert Divas in the post with #CDDMONTHLY . There is no limit on the amount of entries that you submit as long as they fulfill the requirements above. We will randomly select the winners from the entrants that fulfill all of these requirements. Each challenge will go live at 12am EST on the 1st of every month and close at 11:59 EST on the last day of the month. The winners will then be selected and announced in the CDD Gallery within 48 hours of the challenge end. Once the winners have been announced they will have 1 week to claim their prize by messaging the main Craftin Desert Divas Facebook page. If the prize is not claimed within a week of the announcement, that prize will be forfeited. Also there no longer be a linky party or a monthly digi challenge as this will be our only challenge. We feel that this will be a great way to reward you our valued customers who are sharing your love for CDD. We are super excited about this new challenge and can't wait to see all of your amazing entries. CDD- One digi stamp of choice - #15 Tasha J.
Congrats! Please send an email to craftindesertdivas@gmail.com to claim your prize. You have one week to claim them. Thank you all so much for joining us in our linky parties each and every month. I hope you will now join us in our FB Gallery group for our new monthly challenges!!! I'm very sad. : ( I love to play in your challenges, but am not on social media and therefore won't be able to play along in your new challenges. So sad. But I hope it is a success and works out so well for you.